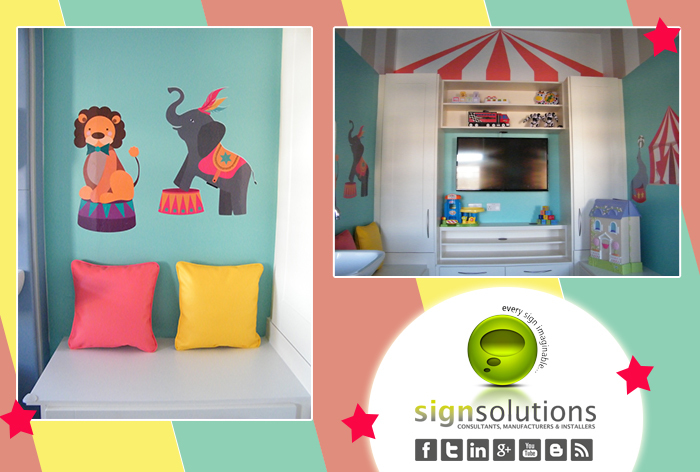 From Storeroom to Playroom…Family Room in the Children’s Leukaemia Ward receives a makeover! 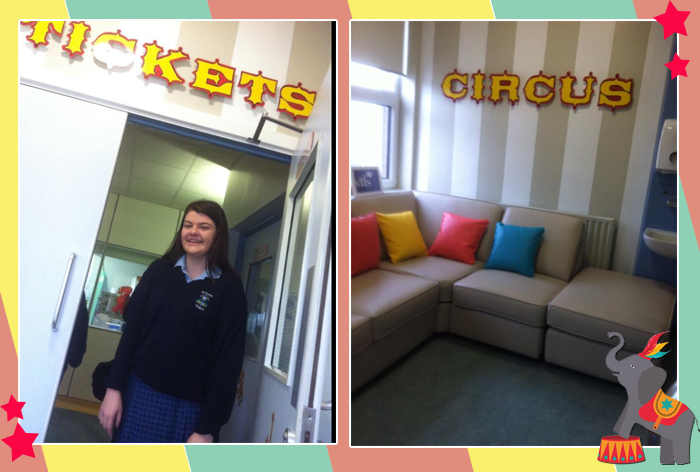 Emma O’Callaghan, a 5th year student at St Mary’s College, won an online Gaisce competition to help redesign a Family Room in the Leukaemia Ward at the Mercy University Hospital in Cork. As part of the re-design, our clients, Optimise Design asked us to manufacture the signage components of the project. As Sign Specialists in Hospital, Medical, Pharmacy and Dental signage we were excited to be associated with this special project. 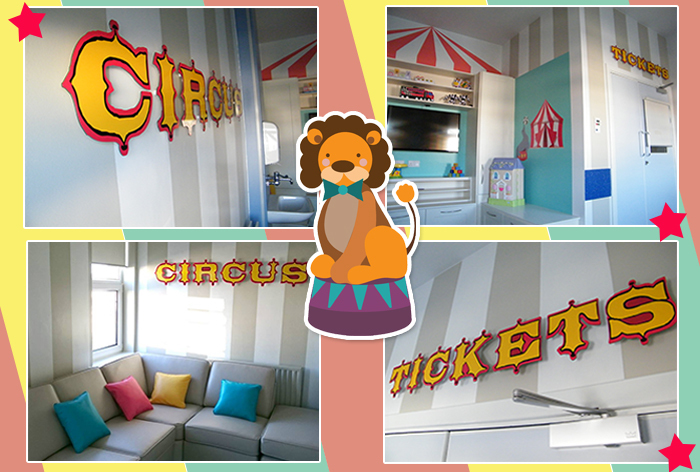 The makeover included Raised Carved 3D lettering in circus style font and colour coded to the circus theme design. The sign specification included concealed fixings to the rear of each letter, digitally printed wall decals and large format posters. Our team where delighted to be involved in such a fabulous project. Best wishes to all involved and to the medical team for the wonderful work they do. The design team really went the extra distance while designing my van signage. As for the fitters doing the lettering, they did a fantastic job. Extremely precise and accurate. Sign Solutions were genuinely very helpful, friendly and any changes along the way was no problem for them. Within a week, I have had four clients looking for my services due to the van signage. Thank you to all the team in Sign Solutions. Very nice job done on that little van. Thank you! It was easy and pleasant dealing with you and the execution has been accurate and with a brilliant design. We would be happy to recommend your company to colleagues in REI and RAI associations. Sign Solutions are a great company to deal with, they helped me so much when I moved my business (The Pottery Shop Arklow) to its current location at 84 Lr. Main St..... They gave me ideas and took on board everything I said.. The new sign over my door is excellent. Well done Sign Solutions I would recommend you every time.... Peter Kinsella T/A The Pottery Shop Arklow. I purchased 2 roll-up banners from Sign Solutions for my Photography which were not only perfect but the cheapest I came across, Sign Solutions are very professional and I would highly recommend them. Hard to believe you did the signage on my van back in 2006. Still as sharp as the day you did it. First Phase of Signage look Fab!! We are very happy with the result and wish to order additional signage. I want to thank you for a job very well done. From Duncan who came to our premises to get an idea of what we were looking for. Then the design team who nailed exactly what we were looking for and the fitters who got the job done in jig time and were a pleasure to deal with. I would have absolutely no hesitation in recommending Sign Solution and again thank you, we are delighted with our new sign. Sign Solutions © 2019. All Rights Reserved.